This last year has been good to us both personally and professionally and, following our move, we have a bit more in the way of liabilities, as well as considerably more income to replace if anything bad were to happen to me. Thus, weâ€™re once again feeling a bit â€˜exposedâ€™ when it comes to life insurance, and weâ€™re thinking of re-doing our policies. Again. The trouble here is figuring out how much we need. This is a common quandary… If youâ€™re single with no dependents, then you might not even need life insurance coverage. But if you have dependents, you need to buy enough life insurance such that, when combined with other sources of income, your life insurance will replace your earning potential, plus enough to offset any additional expenses they will incur replacing services you currently provide (for example, if you do the taxes for your family, the survivors might have to hire a professional tax preparer). Your family might also need extra money to make some changes after you die. For example, they may want to relocate, or your spouse may need to go back to school to put themself in a better position to support the family. In short, if you aim too low then youâ€™re jeopardizing your familyâ€™s well-being, but if you aim too high then youâ€™re wasting your money. 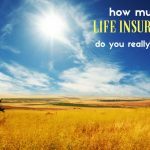 In very general terms, it seems that there are two basics approaches to determining the â€˜rightâ€™ amount of life insurance. One of approach simply involves buying a policy that will pay a certain multiple of your annual salary. The difficult thing is determining which multiple is right for youâ€¦ 8X? 10X? 12X? 15X? Or maybe 20X? This really boils down to what you need your life insurance to do. If you want your loved ones to be able to replace your current income without drawing down the principal provided by the inurance policy, then you might want to aim for 20X â€” this amount would allow your loved ones to draw out your annual salary (which would equal 5% of the total) per year without touching the principal as long as theyâ€™re able to keep investment returns in the neighborhood of 5%. If they can get by on less, or if you donâ€™t mind the money running out at some point in the future, then you can get by with less. Of course, if youâ€™d like your beneficaries to be able to pay off some lump sum items (e.g., funeral arrangements, paying off the house, etc.) and still maintain a steady stream of income going forward, then you might need to ratchet up this number. The other approach is to use an online calculator (or a trusted financial advisor â€” just be sure not to ask your insurance salesman!) to estimate your insurance needs. Hereâ€™s an example of one such life insurance calculator. Basically, you input a bunch of variables relating to current income, desired income going forward, assets, liabilities, anticipated final expenses, etc. and voÃ­la! You have your answer. Of course, the validity of this answer is only as good as the numbers that you put in, so think carefully. Another thing to watch out for is the inevitable erosion of the buying power of your life insurance policy. After all, a million dollars wonâ€™t be worth a million dollars 20 years from now. 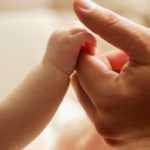 While the group life policies that are available through many employer benefits packages are usually tied to your salary, such that they ratchet up over time, the same is not true of the typical term life policy. So here again, itâ€™s important to think carefully about what you want your life insurance policy to provide over the long term and plan accordingly. So… Where does that leave us? I currently have 3X coverage through my employer as well as roughly 4X my new, higher salary through the term life insurance policy that we bought from Lincoln National last year. Obviously, I think that we need to increase this amount, but Iâ€™m still unsure how high we want to go. 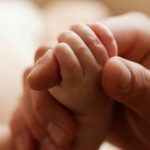 Buying Life Insurance: One Company or Two? This is nuts. If you knew you were going to die tomorrow how much life insurance would you buy? As much as you can, same theory when we get injured or killed by accident, the survivor brings suit for as much as they can get. However, there is a clear formula for how much you can get, from both a law suit and from an insurer. It’s one’s economic replacement value. All insurance companies have tables that they use and WONT issue amounts above those limits. ie. 35 year old can get 25x their income, that’s it. So why buy less? Makes no sense. 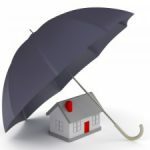 We don’t under insure our homes, cars, businesses….so why would we under insure our lives? $1.5MM x 30 years term life (I’ll be nigh on 70 at the end of the policy). Calculation includes mortgage payoff and getting even the last child TO and THROUGH college + grad school; allows for continuation of full-time mothering up to adolescence. SBLI is a bargain, btw. My employer has the best package that my dad had ever seen (he sold life insurance for years) It’s something like 10x your annual income with the option to increase it to 20x with a $75 a month payment. I think many issues about how whether your surviving spouse needed your income to retire, to your financial obligation to your children factor in. I would go for 25 times salary for someone in their 30s – only term. There’s little incrememntal difference between 20 and 30 year policies. One thing you might want to remember is the Social Security benefits that would be available to your family if you were to die. My understanding is that this benefit only applies if you have minor children at home (which I believe is the case for you). In my case, if I were to leave my wife with children to care for, she’d be paid something between 35% and 45% of my current salary (depending on the number of children we had). Not nearly enough to live on, but enough to reduce by a bit the amount of insurance I need to carry. The same might apply to you.